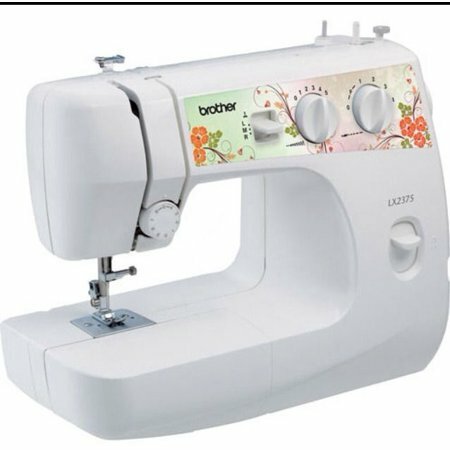 Brother LX2375 is a good sewing machine for very basic stuffs. The fact that it is discontinued, doesn’t make it popular among buyers. 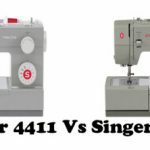 LX2375 is an inexpensive beginners sewing machine. It seems to be discontinued by Brother, so you may get it for a discounted price. 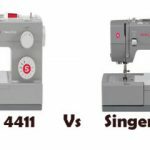 LX2375 is a 20 stitch sewing machine. By 20 stitch, don’t think that it has 20 built-in stitches, it is actually stitch functions. It has only 2 built-in stitches, the straight stitch and the zig zag one. A dial is provided for adjusting the stitch width and length. A built-in light is provided for illuminating the work space. Being a mechanical sewing machine, the foot pedal is the only mode of operation. The machine is free arm capable as well. A reverse sewing lever is also provided. The machine has 3 needle positions. The machine is pretty light in weight, weighing around 12 lbs. 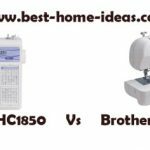 Brother LX2375 is a sewing machine for very basic stuffs. It will do basic mending and stuffs well, but you won’t be able to sew heavy duty fabrics with this. Couple of layers of denim went through well, when we used heavy duty needle and went slowly. The machine is easy to set up. The machine is very lightweight and there is a built-in handle so that you can carry it easily. The main limitation of Brother LX2375 is that you need to go really slow to prevent upper thread breaking. The machine also tends to skip stitches when you go fast. There are no buttonhole options on this machine. There is no automatic needle threader either. New machines are rarely available. Most of the LX2375’s on sale are factory refurbished ones, which I am always skeptical about. I don’t really trust factory refurbished machines. They went back to the factory because there was something wrong, there is every chance for them to misbehave again, that is my theory. Is It Worth Buying ? You might get disappointed if you expect a lot from Brother LX2375. It will be a handy machine for quick mending. 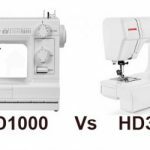 If you are really serious about sewing and want to improve your skills, this machine is not for you. Moreover, for the price, it lacks advanced features like needle threader or buttonhole options. 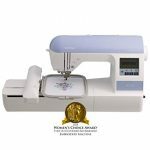 I would suggest you to try Brother XM2701 which costs couple of extra dollars, but it is much more advanced including 27 built-in stitches, 1-step buttonhole and automatic needle threader. It is the best product release by Brother in 2014.